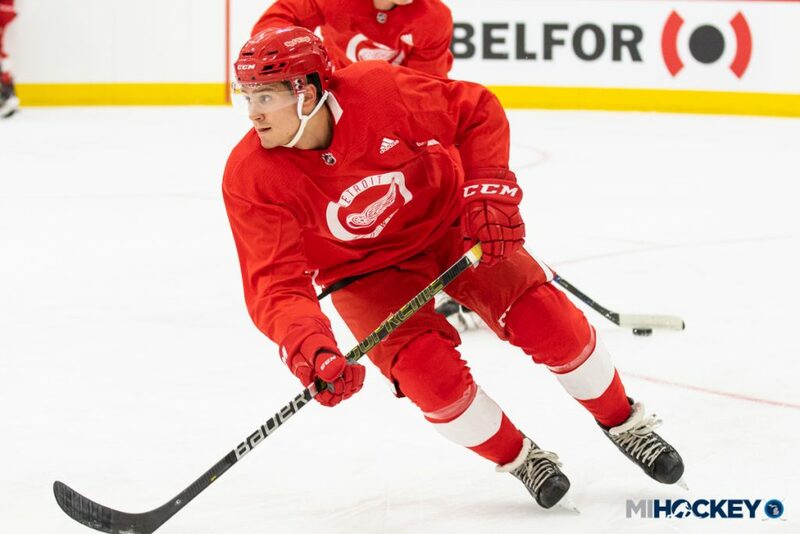 DETROIT – Luke Morgan’s been patiently waiting for his chance to suit up for the Michigan Wolverines. This week, he’s got quite the distraction – and quite the experience – to help with the wait. The Brighton native, who transferred to Michigan from Lake Superior State last summer, had to sit out the 2017-18 season, as is NCAA policy. 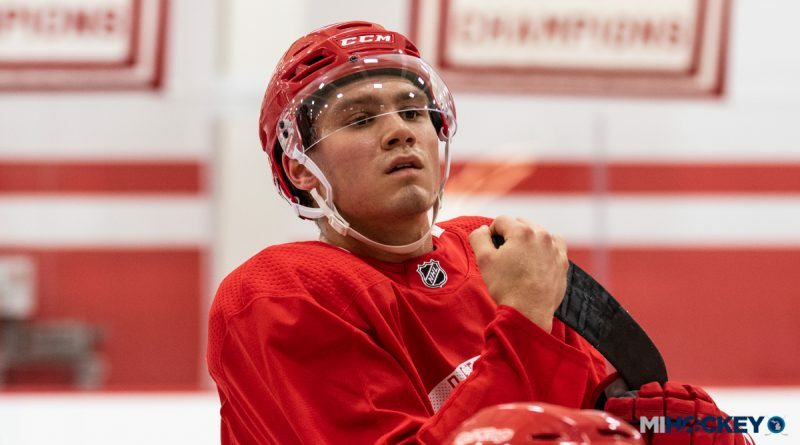 This week he’s getting the opportunity to knock off some of the rust that comes with missing a year of hockey, as he was one of the few special invites to the Detroit Red Wings’ development camp at Little Caesars Arena. The Brighton native, as expected, grew up a big fan of the Wings. Putting a Winged Wheel jersey on for the first time yesterday was something special for Morgan. Favorite pro team, favorite college – it’s been a good stretch for Morgan. He will have another memorable moment in October when he gets to finally play for the Wolverines. Watching from afar during the Wolverines’ run to the Frozen Four was tough, but Morgan said that his teammates made him feel included. Morgan credited Michigan coach Mel Pearson for keeping him motivated during his redshirt season. For now, he’s just trying to capitalize on his opportunity with the Wings. And unlike most of his peers, he’s already checked out most of the facilities at the new Little Caesars Arena.